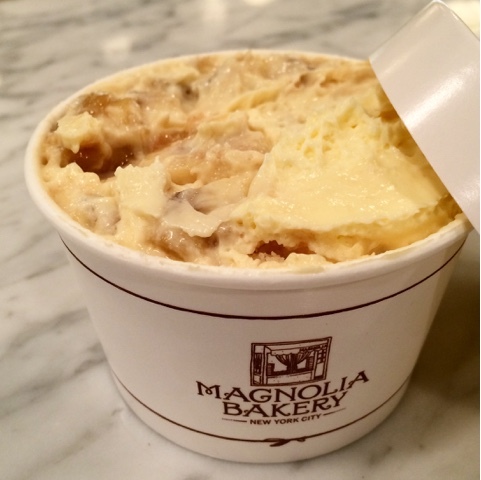 The amazing banana pudding is a must try! 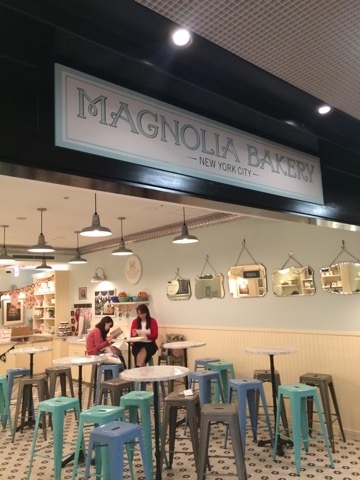 Who else is super excited about Magnolia Bakery coming to Hawaii??? The bakery giant which is famous for their banana pudding will be opening a cafe serving breakfast, lunch and dinner November 12th! My friends have been raving about their banana pudding so since I was near their Tokyo location, I went to see what all the fuss was about. I arrived at the bakery about an hour before closing and the place was almost empty. My friend had remarked that she never saw the bakery without a line! I made a beeline for the banana pudding and although I just had a frozen s'more, I wanted to get a taste of it right away. It's just banana pudding right? How can it be that amazing? But it was! It was delicious. The consistency and texture was rich and creamy and I loved the good sized banana and vanilla wafer pieces. Yum! I didn't let myself finish it for fear of sugar shock from all my desserts that hour, but I definitely had to take the rest with me. The staff was super friendly and offered an ice pack to keep my treat cold on the way back to the hotel. 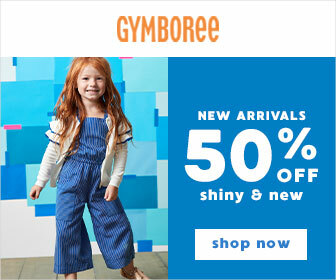 I am so excited about the Ala Moana location! I am looking forward to trying all their goodies as well as having breakfast, lunch and dinner at the cafe! 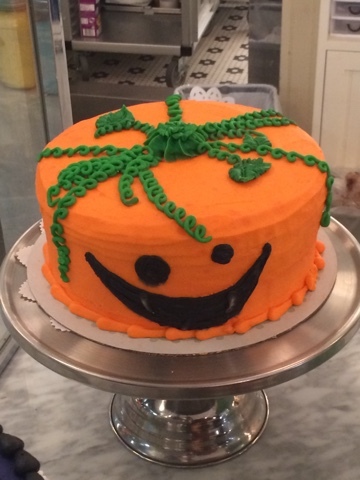 Super cute Halloween decorated cake.